Northern Ireland Water has confirmed that subsidence has occurred on above a stormwater tunnel on a busy Belfast street. The tarmac at the site on Cromac Street in the city is still intact, but it is sagging over the vacuum beneath it. There are fears the resulting hole could stretch up to 15sq metres. 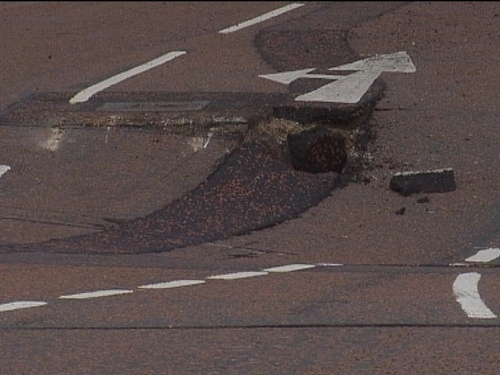 Northern Ireland Water has confirmed subsidence above a stormwater tunnel on the busy street. The company says its staff are at the scene, working with other utilities to secure the area. In a statement it also said that a full investigation is under way to establish the cause of the problem. Apologising for any inconvenience arising from the closure of Cromac Street in the city centre, it said that repairs would start as soon as possible. Cromac Street has been closed at the junction with East Bridge Street, which is expected to cause huge disruptions during the week.